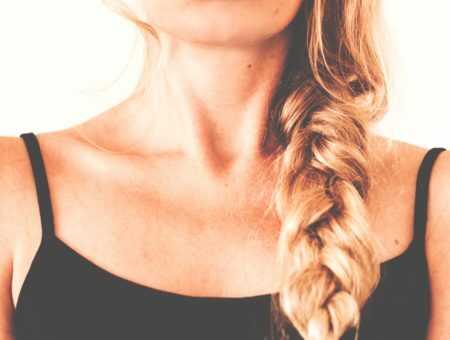 For most of us college gals, summer has officially begun, and that means no more papers to write, plenty of fun in the sun, trips to the beach … and probably a summer job. 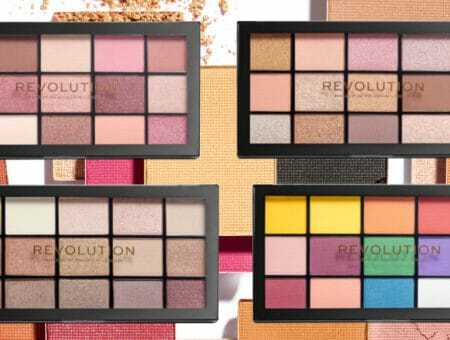 But that’s all the more reason to rock some happiness-inducing nail art (if your dress code permits) – to remind yourself of all the fun you’re going to have this weekend while you’re stuck in the office. For this tutorial, I decided to use a quintessential summer item as inspiration: colorful, cheery inflatable beach balls. Let’s get started! 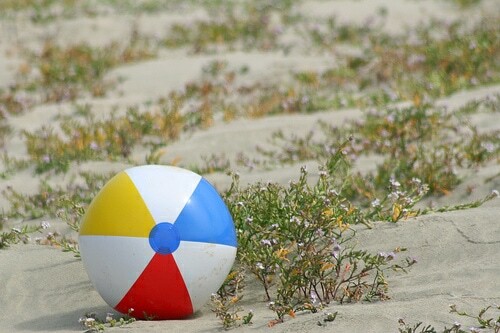 Polish – I chose white, red, blue and yellow to represent the colors on a classic beach ball. I used Sally Hansen Hard as Nails Xtreme Wear in “White,” Sephora by OPI Nail Colour in “Fiercely Fabulous,” Milani Nail Art Lacquer in “Blue Print,” and OPI Nail Colour in “Banana Bandana.” That said, you can use whatever colors you want – just follow the pattern! Clip and file your nails if needed and put on a base coat. Paint your entire nail white, the background color of every classic beach ball. But keep in mind that white can be a bit finicky – it may take multiple coats for it to be even and opaque. Let dry for a few minutes before moving on. 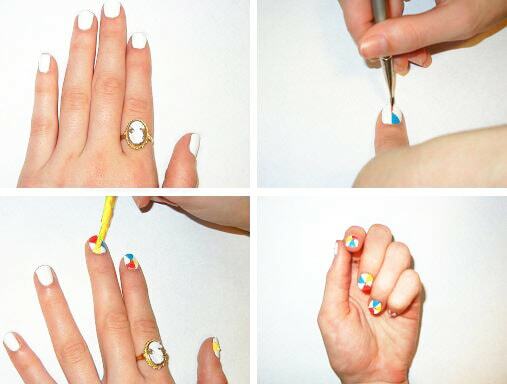 Take one of the three colors and make a dot in the middle of your nail. It doesn’t have to be absolutely dead center, but try to eyeball it the best you can so that the triangles end up more or less the same height. This dot can be your guide for starting each triangle, and you can extend the lines for the first triangle out from there. Put some polish on the side of your eyeliner brush or drawing tool and gently drag it in a even stroke from the middle of your nail to the outside, to outline the first triangle. (You could also use scotch tape and a normal brush for really precise lines.) Once you have the outline, it will be easy to fill in with the regular polish brush. Repeat this with all three colors, leaving white triangles between each; think of making six even slices of pie, three white and three in color. This can also be a little tricky, so more on that later! After making the last triangle, put a dab of polish in the center where the three triangles meet, and place a rhinestone there to mimic the circle that’s on the top and bottom of beach balls. For more detailed info on how to put rhinestones on your nails, see our post on rhinestone nail art. Repeat on all of your nails, then apply a top coat to seal the rhinestones on and make the design last! I often say during tutorials that you could use an eyeliner brush or something similar to make lines if you don’t have a polish made specially for nail art, but because I have several nail art polishes, this is the first time I’ve ever done it myself! Once I got the hang of it, I didn’t find it any more difficult to use than the professional tool, and it achieved the same effect. But almost every time I do my nails, I run into some problem that I didn’t think of before I started. This time, it was with the triangles…so now for a bit of a nerdy rant about geometry! When I painted my first nail, I tried to do two right triangles that made a straight edge down the middle of the nail, and then I realized that that didn’t make sense; if I tried to do another triangle identical to the other two, the pattern wouldn’t work and the white spaces would be uneven. So, as I said in the tutorial, when you’re making the triangles, think about how you would slice a pie into six pieces. There shouldn’t be any right angles, because if there are, the pieces won’t be the same size. So although that was a pain, once I figured it out, the look turned out fine, and the geometric polish felt fresh, fun, and perfect for summer. 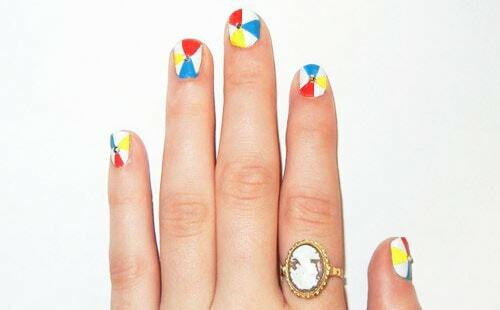 Would you try this beach ball-inspired pattern out yourself? Tell us your thoughts in the comment section below!